Danny Wilmoth is a fine example of the type of man that any club, in any sport, would be very fortunate to have in its ranks. A tireless worker who always did what his club needs him to do and went on to serve his club and the sport at the highest levels of sport in the country. Danny, born on 9th January 1938, has an interesting story about starting in the sport which corroborates the tale told by Tom O’Reilly. He says: “I was brought up on a farm where my father was the ploughman at the Lumloch and we stayed in the farm bungalow. 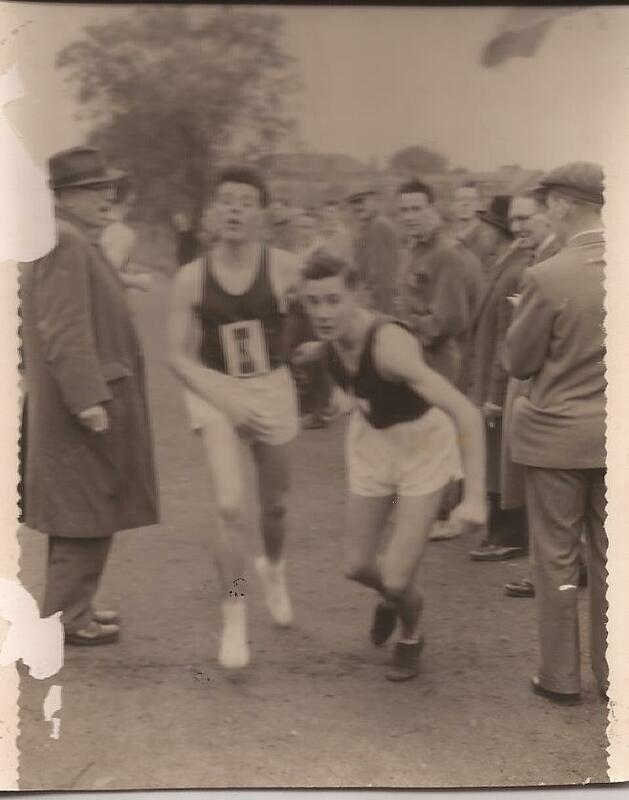 When I was 14 years old, Tom O’Reilly came up to the farm and asked if we could shift some cows to another field on the Saturday as it was the Springburn Harriers cross-country championships. The farmer told him to see me and I would do it for Springburn Harriers. Tommy was always about on a Saturday morning and would let me know which fields if any he would require the following week. He was always at me to come down to the club. I finally agreed to do so. When I arrived Tommy said, “You’re going to run in the club handicap tonight.” I told him I’d never run before but he wouldn’t take no for an answer. I started off with others – up through Auchinairn and was just holding on to two guys who were completely unknown to me and when I asked where the others had gone, they just said that I had run the legs off them, they were all behind us. We kept on until we came back to Auchinairn Road to the club house. I got a bit cocky and ran away from the two guys to the clubhouse. I never heard the end of it – everyone called me ‘the guy who can’t run’. 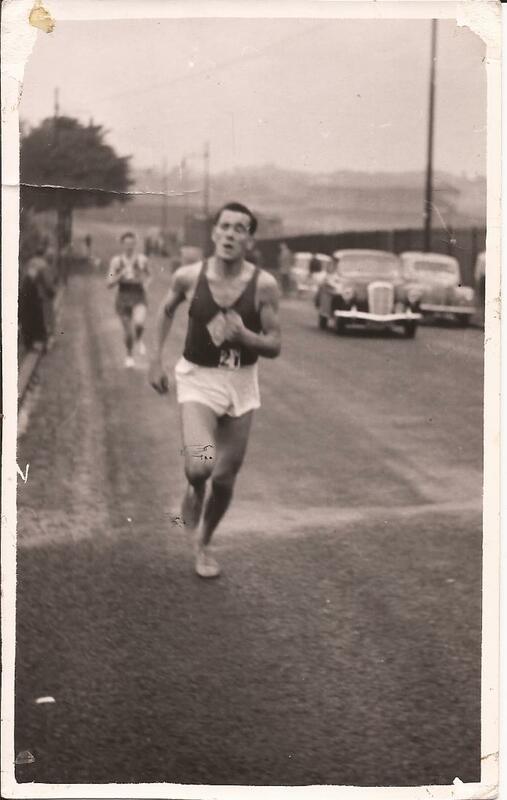 That was my entry as a Springburn Harrier in 1953. At that time, there were ten or twelve Saturdays in the winter (between October and March) when there were no races being held. 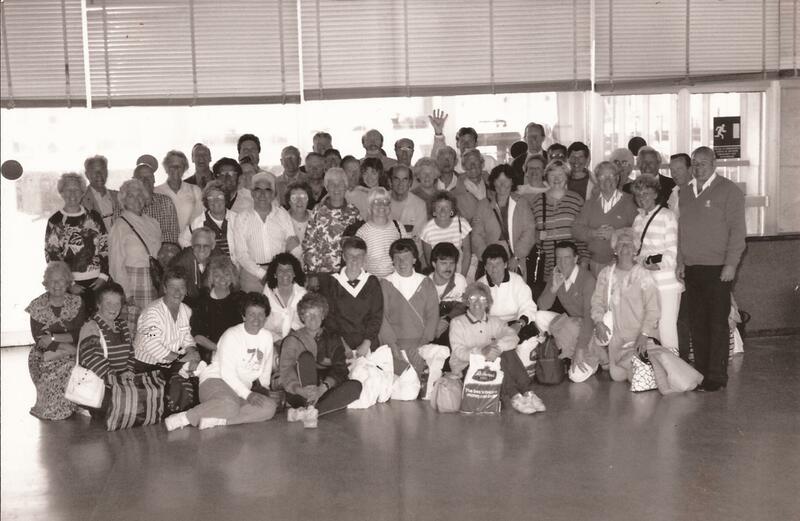 On these Saturdays, inter-club runs were often scheduled when two or three clubs met up to run in packs over the local territory. 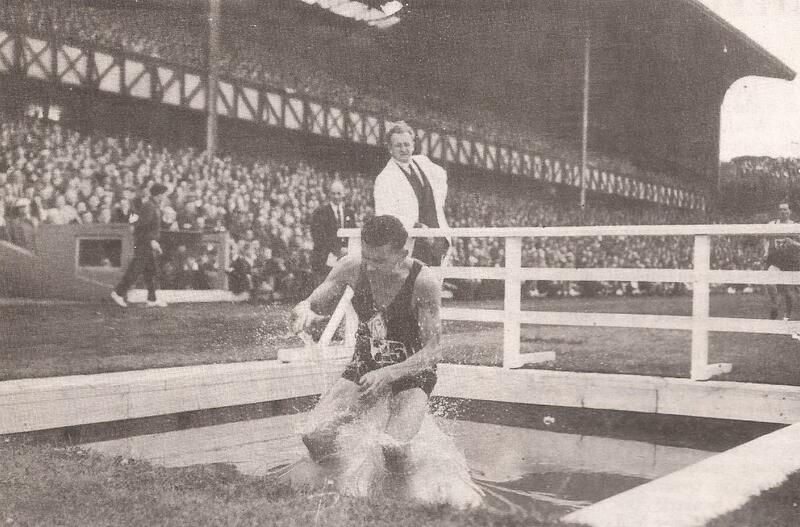 Springburn was a popular venue – partly because of the trails they could offer but also because of the big plunge bath at the back of their clubhouse in Auchinairn Road. Danny did his share of these runs and took part in all the championships too. 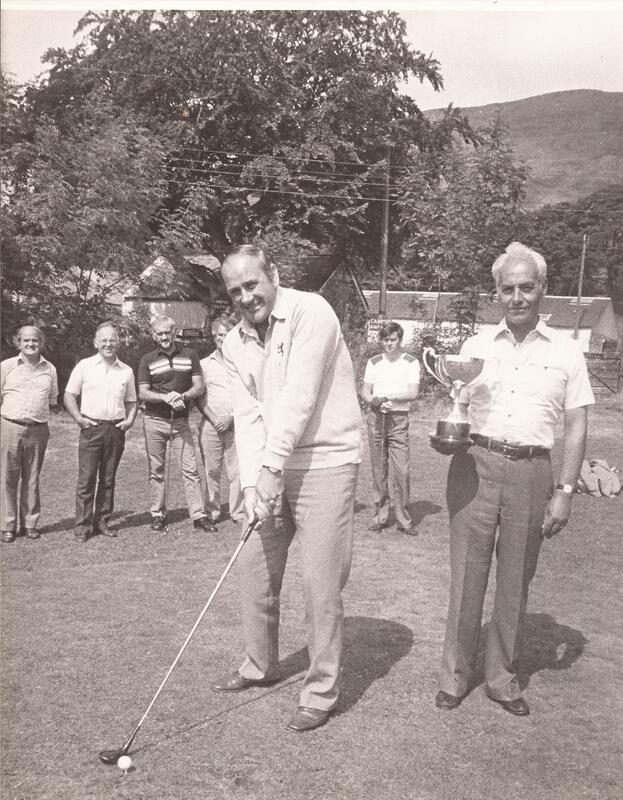 All clubs used all the talents of their members and Danny was a willing worker – very early on in his career he organised a whist drive in the club house along with Tom O’Reilly and Gary McKay to raise funds for the club. 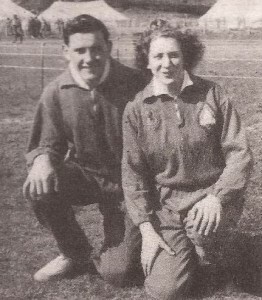 On these occasions, tea and sandwiches were made for the players by several of the women members including Molly Ferguson. 1955/56 Y 29th Team 1st Too Young to run.Stage 7. 1956/57 J 22nd Team 3rd Stage 7. Held 10th Position. 1960/61 S 120th Did not run. 1961/62 S 138th Stage 1. 18th. 1962/63 S 105th Stage 8. 17th up to 16th. 1964/65 Stage 8. 11th up to 9th. 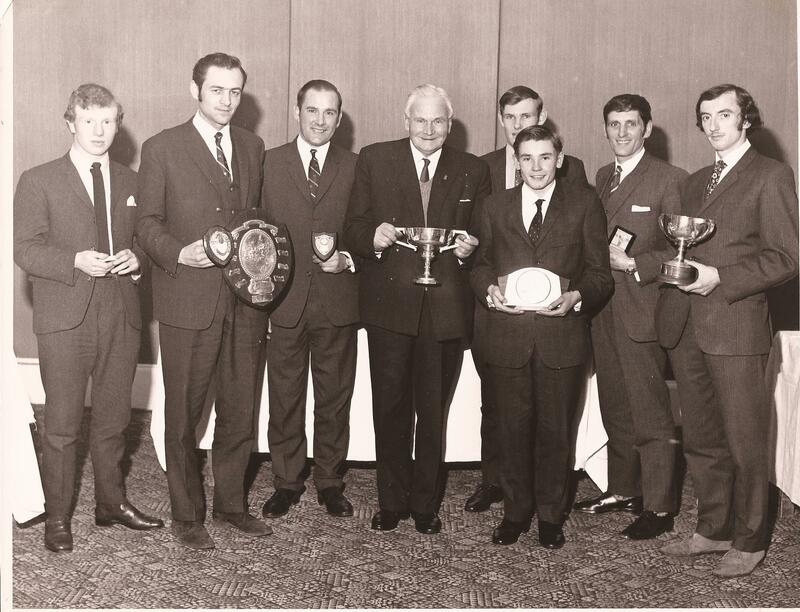 He also ran in District relays and championships, county relays and championships and all the road races such as the McAndrew Relay and the Nigel Barge Race. You will note of course that he never ever dropped a place on the fiercely competitive E-G relay. Not many can say that. There were two years when he missed the E-G at the age of 21 and 22. But almost everybody did at that time and that was because they were off doing their two years national service. ie compulsory army service. Danny was stationed at Newark for his time in khaki. Newark was a training school and Danny was a Morse Code Instructor and did eight one-hour periods in the class room. He worked with Gurkhas, whom he remembers as very keen to learn. Being a good runner he was picked for the regimental athletics and cross country teams. 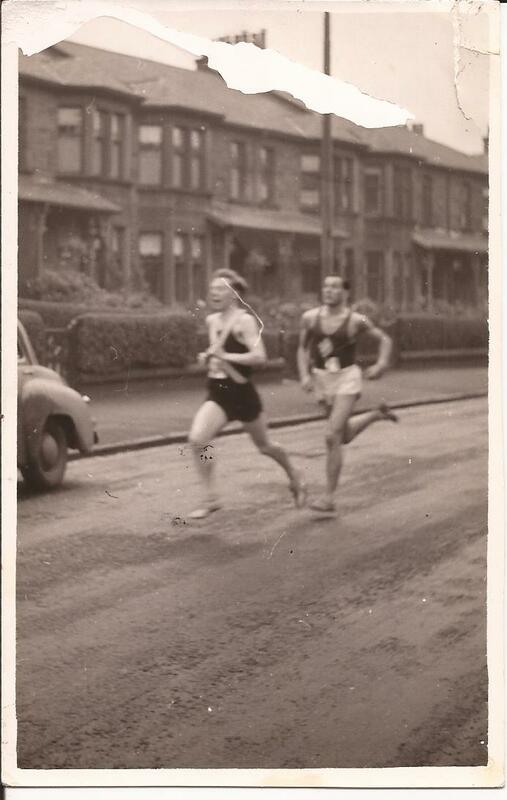 As with Springburn, he ran mainly half-mile and mile for the regiment. Picked to run in Germany for the regiment 4 x half-mile team. He recalls: “It was a beautiful cinder track in a beautiful stadium. I ran the third leg where I took over a poor third and gradually worked up to third going in to the last lap. I gave it everything and passed them all in the back straight and handed over easily 50 yards clear. After the race we were presented with silver salvers.” Danny also ran cross-country for the regiment and remembers when he was picked to run for the regimental cross-country team in the championships at Oxford. He remembers that race well, because of a particular scalp he lifted that day. The trail was mainly plough and the distance was all of nine miles. A very tough course. As he came in to the last 200 yards or so, the runner one place ahead was coming back fast. One of the stewards called to Danny and said, “Go – that’s Herb Elliott!” Danny got him and Elliott was out on his feet. Elliott had of course retired from international athletics and was studying at Oxford. His form had gone but that didn’t matter to anyone who passed him. He was still Herb Elliott. Danny says that the great man was a really friendly chap and easy to talk to and get on with. Danny’s track running with Springburn was also mainly half miles and miles and like all of us he ran at Highland Games, Sports meetings and District and National Championships. His says of his track running:“I ran both events handicap races all summer. 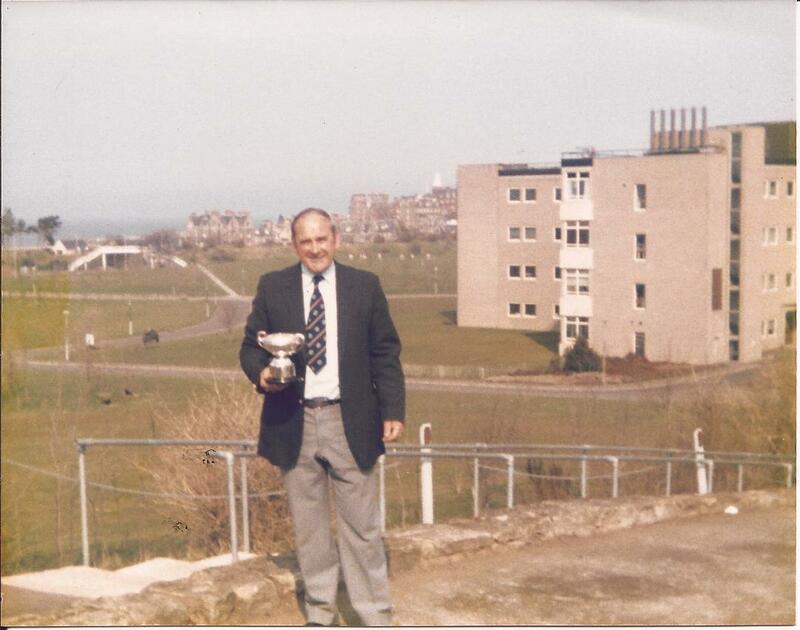 I remember being entered for a half-mile at Edinburgh Highland Games and when I arrived they told me it was going to be a scratch race as there were not enough entries for a handicap. 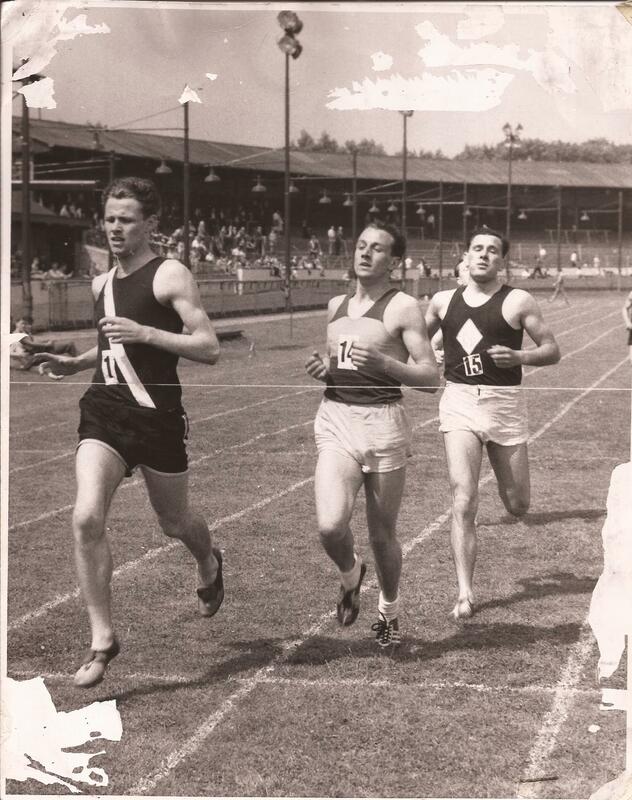 I knew that there was to be a Two Mile Invitation for the runners who had broken the four minute mile the week before in England and when I went to change, they had a separate room for the Two Milers. I met Gordon Pirie, Chris Chataway, John Disley and many others. 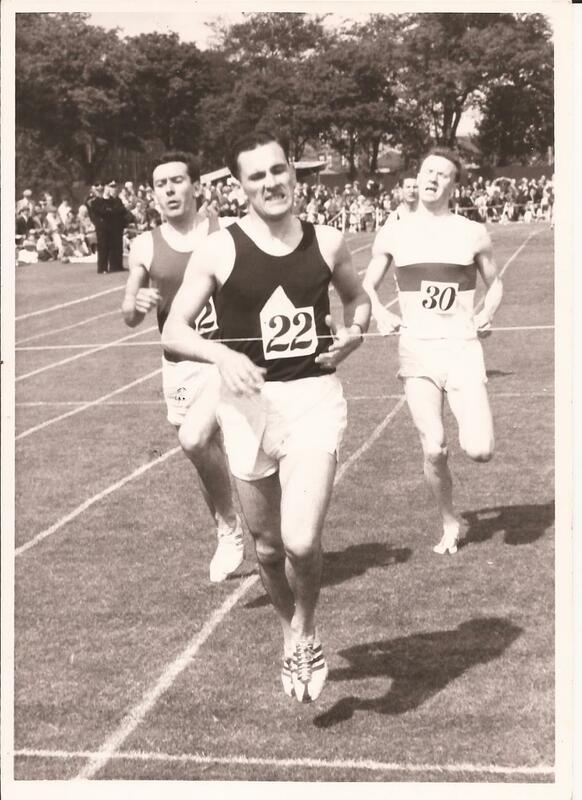 The Murrayfield track was five laps to the mile on grass. When the race came up, they started off going like trains and I struggled to hold on to Pirie who was last for four laps. I could hear the crowd roaring at me not to get lapped. I picked up, threw everything into it and crossed the line a foot ahead of Chataway, then struggled round the last lap. Very tired, but very happy.” A photo of Danny crossing the finishing line a foot ahead of Chataway would have been some memento! 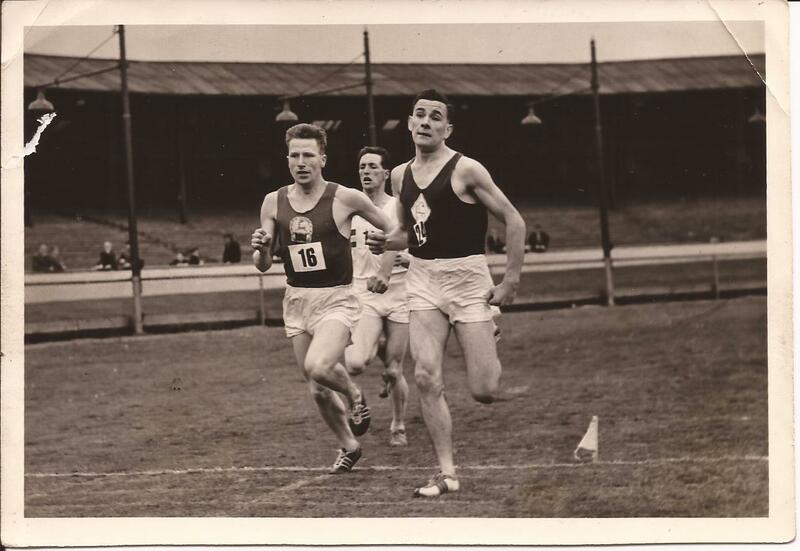 These days are unfortunately gone, but it was a time when club runners could compete at the same ground, at the same time, and often in the same races as international track stars. Herb Elliott, Chris Chataway, John Disley, Gordon Pirie running with a good class club runner – and Danny couldn’t be more emphatic that they were all really good guys who were easy to talk to. Danny ran all over the country, week in, week out, mainly in handicaps, often in big football grounds, very often on grass but in inter-club and championship fixtures on grass. The strangest was maybe the Lanarkshire Police Sports at Shawfield where there was regular dog-racing meetings and the runners ran on a grass track, inside the dog track! You can see the dog track and its floodlights outside the marked athletic track in the photograph above. He even took part in hill-races such as the gruelling Ben Nevis race where he ran well inside three hours for the course. More recently Danny is better known as an official and organiser of quality. The fact that he has been an athlete himself contributes to this success. As an official he had worked at many, many events – all the cross-country championships, open races – anywhere that they ran a race, they needed an official and Danny filled as many of these positions as he could. 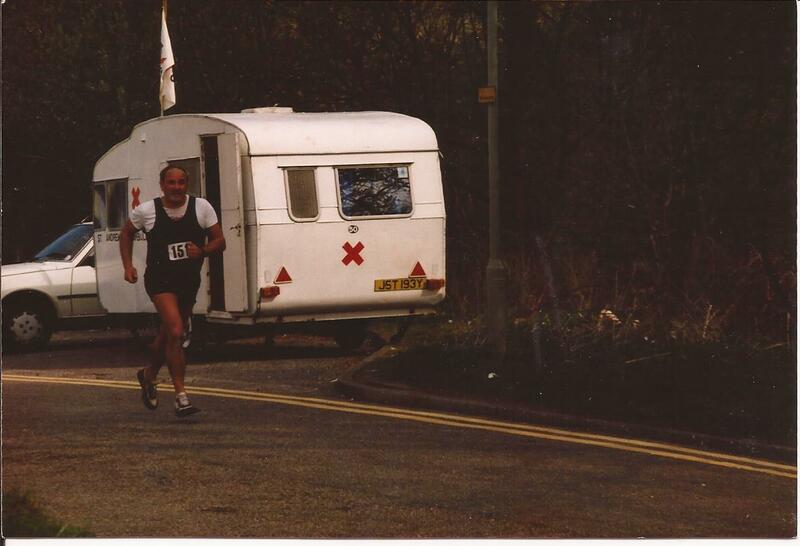 For example he was referee at the Lochaber Marathon in Fort William for many years. 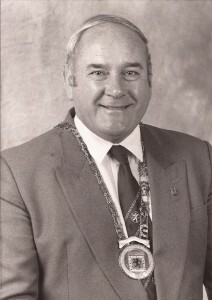 After working his way through all the various committees – at club level, as a club representative on County, District and National Committees, Danny was elected President of the Scottish Cross-Country Union in 1991/92 – the second last President of the body before it was transformed into the Scottish Athletics Federation. 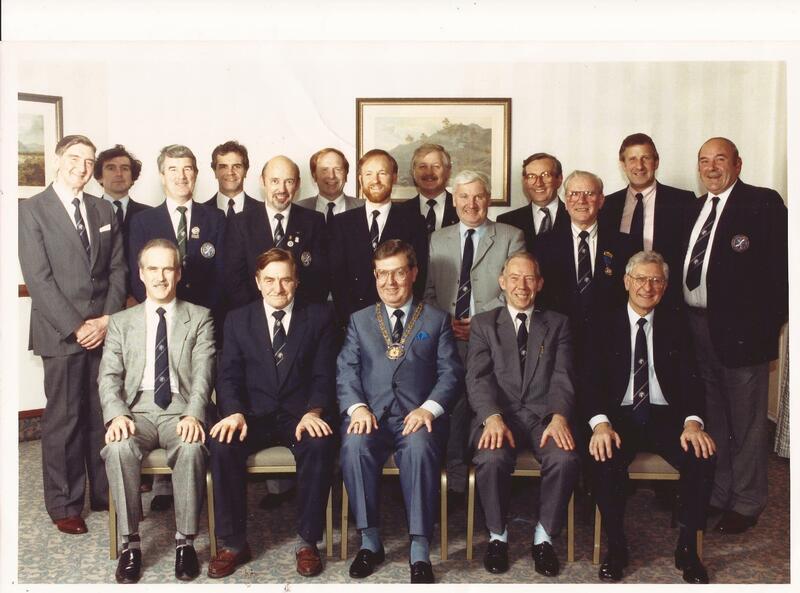 Danny was of course involved in numerous sub-committees over his time with the governing body and one of these was the selection committee where he was one of the four West District representatives. This also involved acting as manager to Scottish international and representative teams and in November 1993 – a year after leaving office – he was in charge of a Scottish cross-country team competing in Turin. He held this post for the last few years of the SCCU and first few of the SAF. 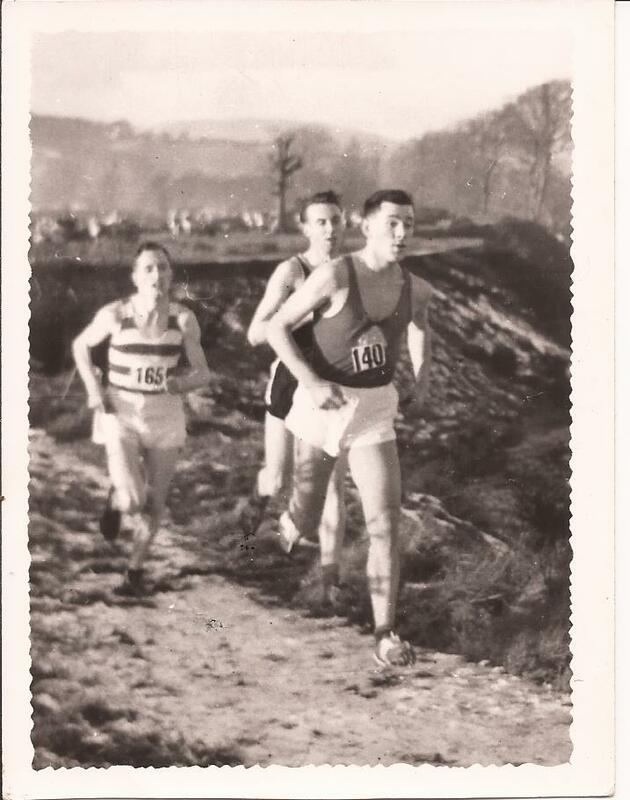 After stepping down Danny, who was now 40 years of age, joined the Scottish Veteran Harriers Club. Technically he was second last President of the SCCU but in fact shortly after Robin Thomas took over that position, the body became the Scottish Athletics Federation and his reign was a short one. Meanwhile Danny moved across to the Scottish Veteran Harriers Club and devoted his considerable energies to them. One of the first things that happened was if he would become members secretary. 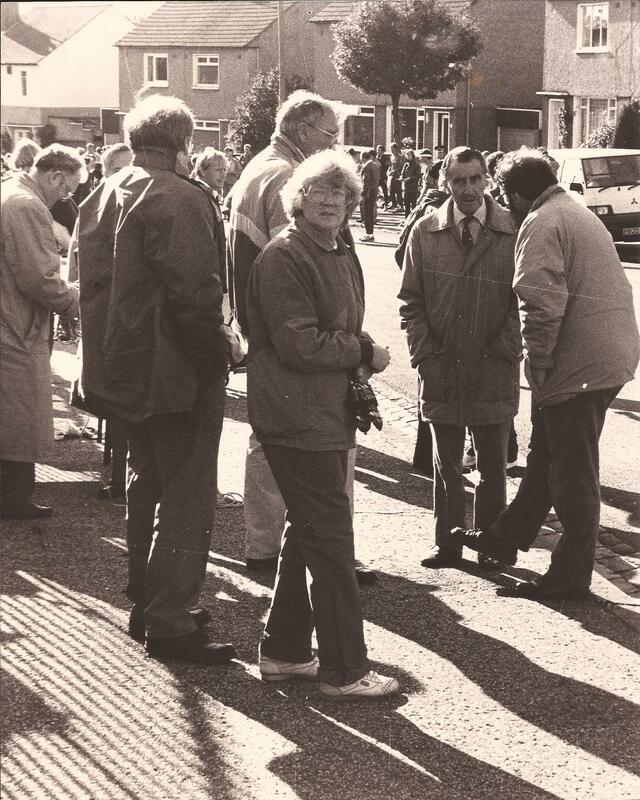 It wasn’t too difficult too difficult to persuade him – and then he discovered that there was a total of 999 members. And in 1992 there were no computers, lap-tops or tablets and almost all phones were landlines. Everything had to be done by mail. It was, he says with a bit of understatement, a busy time. Of course to be a good committee member it is not enough to just maintain the status quo – some initiative and imagination is required and Danny organised a race a month for veterans, sometimes more than one a month. 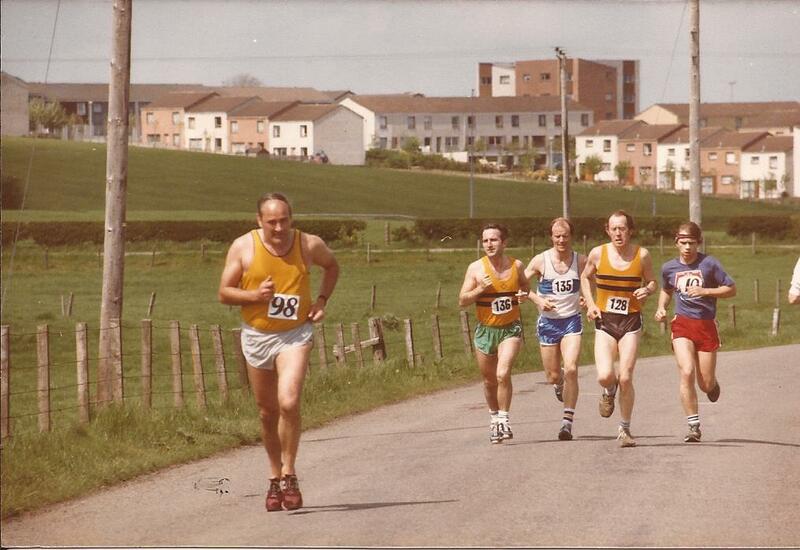 The big event with which he is associated is the Alloa to Bishopbriggs eight man relay, with each stage being between five and five and a half miles. 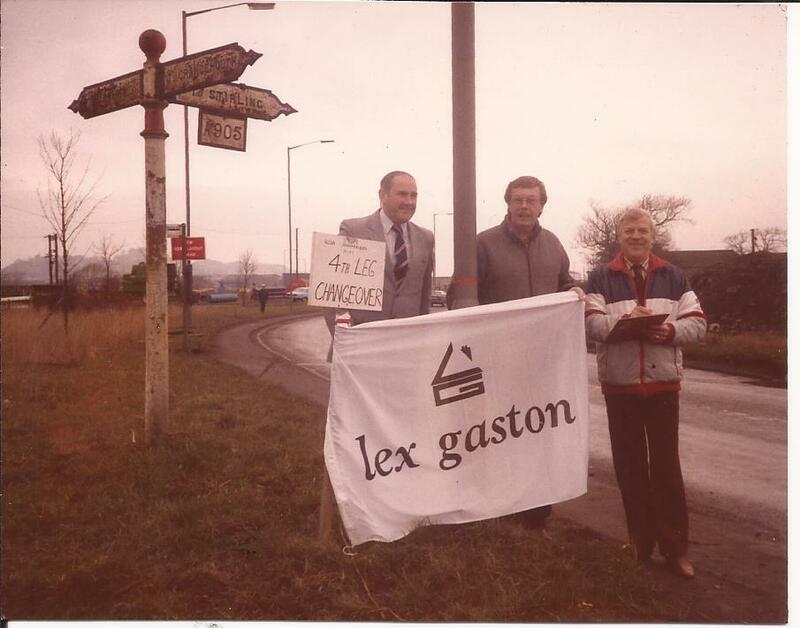 It was to be like the well established and much loved Edinburgh to Glasgow but for veteran runners only. 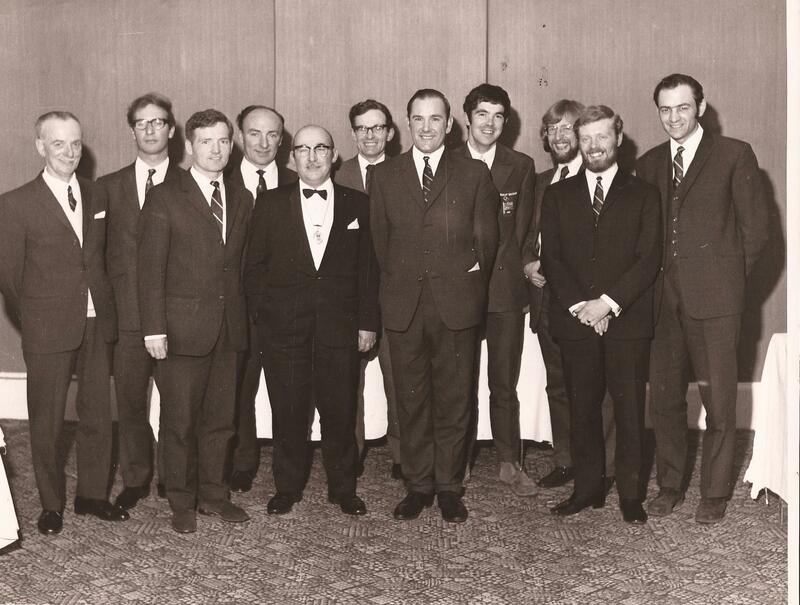 Unlike the E-G, it was not an invitation only race, any club with eight veteran runners could enter a team. 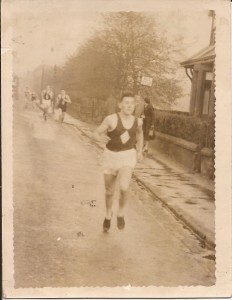 The story of the race is at www.scottishdistancerunninghistory.co.uk/ALLOA%20TO%20BISHOPBRIGGS.htm. It started at the Town Hall in Alloa and finished at the Bishopbriggs Sports Centre. 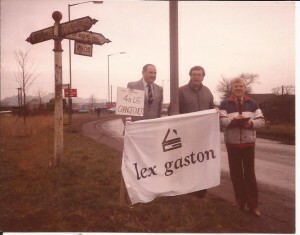 Danny had a very good businessman friend from schooldays called Lex Gaston whom he asked to sponsor the race and medals were presented to the first three teams and to the fastest time on each stage. 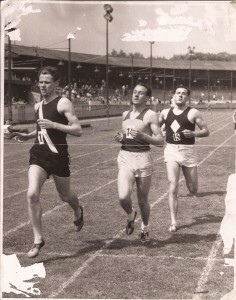 A very popular race, there were at times 30 teams running. Then there were 5K and 10K road races from the Police Grounds at Lochinch where they managed to organise food and good post-race chat. 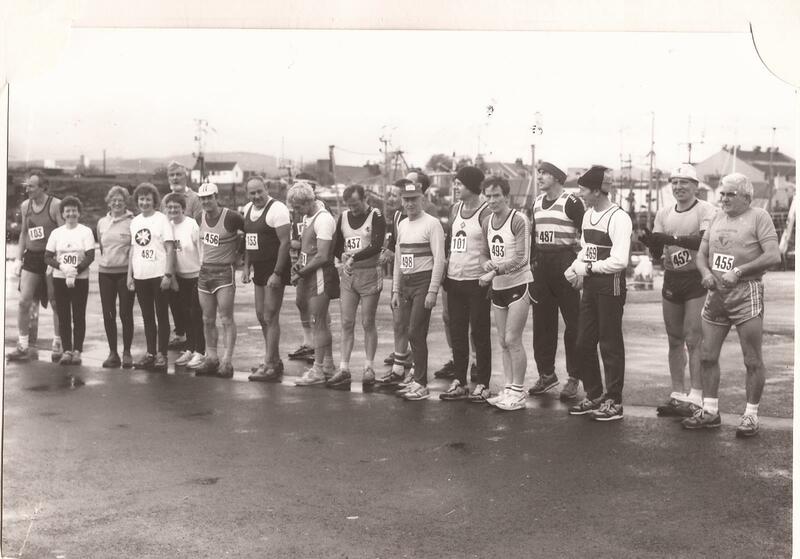 Back at home and there were still races to organise – he organised a 4 x 4.5 mile relay at Strathclyde Park which is still going strong – proof of its popularity is the fact that there can be up to 40 teams at a time taking part. Even away from the athletics arena, he has been captain of the Campsie Golf Club and in that capacity he opened the new 18 hole golf club and organised one of the best attended Pro Am tournaments seen in the area in 1982 when Sports stars such as Crawford Fairbrother (athletics), Jim Watt (Boxing), Billy McNeill and Jim Baxter plus a host of other football players, media men such as Ian Archer, Cliff Hanley, Ron Marshall, showbiz people such as Paul Coia, the Alexander Brothers, Alistair Gillies and Larry Marshall were all there with many moe in attendance and the possibility of a car as a prize for a hole in one. All organised by Danny. President of the SVHC in 1993 and 1994, Danny spent 33 years in all on the Vets Committee and it is now more than five years since he was presented with a clock to mark the occasion. That’s not the only or the biggest honour that he has for his time in the sport: in 2004 he and Molly were presented with the Scottish athletics Joint Lifetime Award by Steve Cram on behalf of the organisation. I mentioned the respect in which he is held by all in the sport, and this is typified by the following comments by very good Scottish runner, Colin Youngson who has this to say. 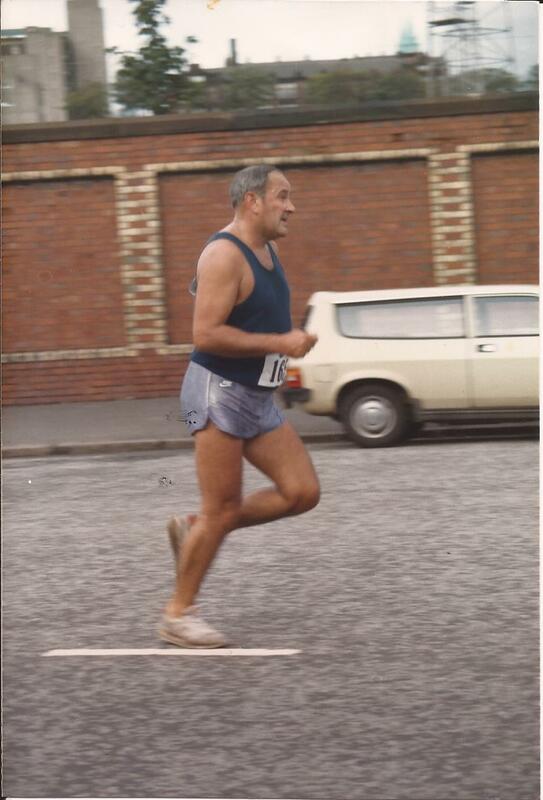 “My first contact with Big Danny was on 7th February, 1988, when I won my first Scottish Vets Cross-Country title over a course he had devised (and ‘measured’) in Clydebank. Three laps. The video showed: first lap, light snow; second lap, heavy, deep snow; third lap, most runners wearing tall ‘snow bunnets!’ I won in 39:14, so instead of 10K the course must have been over 7 miles. Thanks, Danny! We got to know each other better down the years at championships, the annual International Five Nations Cross-Country International, and his brain-child, the SVHC 8 man road relay. In the latter Aberdeen AAC finished third in the Alloa-Bishopbriggs in 1990 but won in 1991 and again (Alloa-Twechar) in 1992. Sadly this marvellous event was shunted off public roads on to private tarmac at Torrance, first eight man, then eventually a six stager. Still a good well-attended event, all due to Danny’s imagination, determination and skills in motivating and organising. Thanks, Colin – a fitting testimonial to Danny and the work he and Molly have put in.